April 2010 | Lufthansa will take delivery of its first A380 on May 19, 2010 and the first long-haul flight of the aircraft is to bring the German football team to Johannesburg on June 6 for the start of the FIFA World Cup. The airline then will introduce the A380 on scheduled routes from Frankfurt to Tokyo (June 11), Beijing (August 25), and Johannesburg (October 25). To promote its first superjumbo Lufthansa has teamed up with chocolate maker Ferrero to develop mini versions of the A380 (scale 1:1,000) to fit inside Kinder Surprise eggs. Says Ferrero: “We’re always looking for new ideas for toys, and the idea of squeezing such a giant into an egg was particularly appealing.” The special edition Kinder Surprise eggs are currently available at selected retailers in Germany and will become widely available in stores in Germany during the summer. 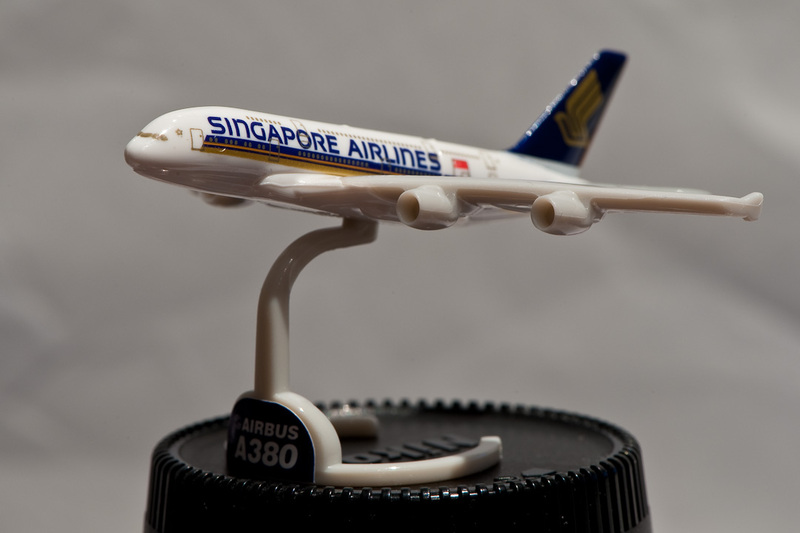 A total two million mini-aircraft will be produced, including little A380s bearing the logos of Star Alliance partners Thai Airways and Singapore Airlines. Kinder Surprise eggs have a cult following in many countries, not just among children. Known in Germany as ‘Kinder Überraschung Ei’ (or ‘Ü-Ei’ for short), an estimated 300,000 people collect Surprise eggs, and the Internet is packed with fan pages and swap sites. The first eggs with the A380’s inside have been on the market since mid-March, and eBay is already full with auctions for the models. As part of its A380 campaign Lufthansa also held a public naming contest who could come up with the best nickname for its A380 fleet. The winning name, ‘Lady Bee’, was chosen out of 150,000 submissions that were made online, and the winner received 1 million frequent flyer miles, enough to fly around the world twice in first class.